Welcome back to the one and only Friendly Movers blog! We are passionate about being part of a local moving company which is exactly what people are looking for when you need experienced packers, attentive movers, responsible drivers, and safe storage — all in one place! From Boston through Washington D.C. and down into Maryland and Virginia, we offer both local and long distance moving services. In our previous posts, we’ve talked about what our moving company’s loyal customers are saying about us, along with our inaugural post highlighting our moving services. We’d encourage you to take the opportunity to check both of those posts out if you get the chance, because we think you’ll be able to see how we treat our customers in addition to the wealth of practically beneficial services we offer. That being said, it’s time to move on to today’s blog! As the title no doubt already gave away, today’s post is all about what you should (and shouldn’t!) look for in a Maryland moving company. We hope you’ll find some helpful information here, provided to you by movers who have been around for a while. That means we’ve seen our fair share of moving companies with questionable practices, and that’s something that makes us strive to be all the more better than our competition. At the end of the day, we believe it’s about giving our customers the reliable moving services they have paid for. 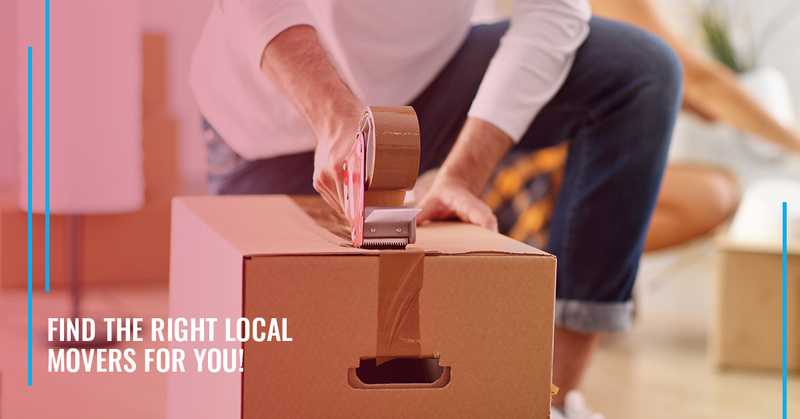 We digress, for it is time to highlight what you should be looking for in local movers! A Solid Reputation – Let’s start with the research phase of picking the right moving providers. Whether you heard about the moving company you have in mind via a letter in the mail, from a friend, or through your own self-guided research online, it’s a good idea to find out what people are saying about any kind of business. You can check to see if there are any red flags. Friendly Movers, for the record, has a 4.5 Star-Rating on Google My Business. Check us out! Take A Moving Inventory – When the moving company you are considering is planning their moving service for you, it’s nothing short of a must for them to take a detailed moving inventory of all belongings that will be moved. This means taking stock of all items that need to be moved from point A to point B, including bookcases, garages, inside of cupboards, closets, and even attics. It’s your responsibility to have a fleshed-out idea of what you want to move and what you don’t. This way, your movers can provide you with as accurate of an estimate as possible. Your moving company is straight-up about moving costs – We don’t think moving fees have to be complicated. That’s why there are no hidden fees or add-ons that you have to worry about when you choose Friendly Movers! Don’t work with companies that have done a DBA switch – DBA stands for “doing business as,” in case you were wondering. We recommend staying away from movers who used to go by one name and now go by another. Why? It’s more than likely that they had too many negative reviews back in the day, so they decided to perform a sort of “rebrand” so they could escape them. Of course, if they have no other red flags, they might have turned from their wicked ways to become a reputable moving company. Call us cynics, but we haven’t seen many cases quite like that! Find local movers who put their customers first – This certainly might be easier in theory than in practice — when everyone says they are committed to something, how do you decipher the genuine movers from the pretenders? There isn’t a singular, easy way of doing this, unfortunately. But one of the best things you can find is a company that is up-front and communicative about their moving services as well as their moving costs. We do our best to be straightforward and practically beneficial with an All-Inclusive rate that includes complete packing materials and the labor that is required to pack all household belongings. We also offer Friendly Basic Service Rates and Friendly Storage rates, designed to meet a range of budgets. 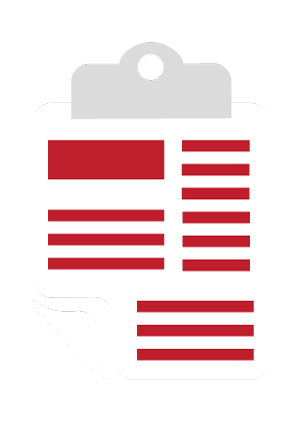 For more information about our local moving costs, check out our local moving resource! Ask yourself how you are being treated by your mover’s representative – Were they punctual, detail-oriented, and communicative during their visit with you? Do you feel listened to? If you don’t like the way they act now, while they are trying to earn your business, you will likely be much less enthused about their execution once you’ve signed that contract. Their business name isn’t Friendly Movers – In all seriousness, we are aware that, sometimes, it’s possible that there will be at least one family in Maryland, D.C., and Northern Virginia that fails to choose Friendly Movers. In the future, we’ll take the time to write a blog about the tell-tale signs of a bad moving company. For a head start, just flip all the advice we just told and flip it on its head. That means you are working with a moving company that isn’t communicative, doesn’t care about punctuality, has changed their DBA once or twice, and doesn’t seem too fussed about the details. Make sure your sales representative is willing to answer all of your questions and go the extra mile to ensure you feel comfortable with the moving plan put in place. If not, it’s a pretty serious red flag! Whether you are interested in office moving, local moving, or long-distance moving services, we have an affordable, efficient, and convenient service that guarantees a personalized, timely, and worry-free move. Our process is simple: We’ll deliver moving bins, we can pack your things, we’ll move you, and then we’ll pick up the bins! With on-time pickup and delivery, a variety of packing services, and home protection so you can have a worry-free move, we’ve got you covered with a straightforward process. At the end of the day, we want to be a moving company that works hard for our clients. We understand that moving is one of the most stressful things you can do — especially if you are moving your family across the state or nation! That’s why we make our entire process simple and easy to understand, as much as it is affordable. Don’t hesitate to reach out to us if you have any questions or are ready to receive your free estimate. We’d love to hear from you!